A spirituality publisher outlines a 21-day plan to develop mental practices that will lead readers to a more joyful, fulfilling life in this debut self-help book. Honeck, who runs her own Illinois-based spirituality press, says that it took some time for her to “quiet the mind chatter” and embrace meditation, which then “pushed me through to manifestation.” Many manifestation programs don’t go far enough, she asserts, including failing to tackle subconscious negative thoughts. 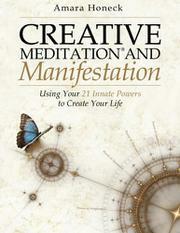 In this book, she seeks to cover “deeper aspects of manifestation that don’t seem to be talked about often enough in the manifestation process. POWERS like meditation, thought, visualization, forgiveness, compassion, prayer, surrender, writing, belief, trust, and 11 more POWERS you already have access to.” Honeck offers discussion and then activities to develop these powers, giving a chapter to each, which also include intent, gratitude, sacred space, mindfulness, I AM (affirmations), wording (of thoughts), emotion, vibrational frequency, perception, allowing, and inspired action. Examples of activities include writing one tangible and one intangible intention, aspirations that can be achieved through physical and nonphysical actions, respectively, such as “watching less TV” and “having compassion for yourself and others.” She advises readers to keep refining and developing these and other positive life goals. Honeck concludes by recommending that readers “let go of the outcome” yet also respond to “synchronicity” in the universe as a prompt for their own “inspired action” (for example, receiving a health magazine by mistake and then following its advice). She advocates coloring as a mindfulness practice, and her book offers many fillable graphics for this purpose. Honeck has created a helpful 21-day “rehab” program that starts with basics (establishing a “sacred space” for meditation, writing a gratitude list) and progressively builds to its more challenging ideas (journaling a hurtful situation to arrive at forgiveness). While Honeck’s “powers” are often simply different prisms into the strength of positive thought, her book’s overall thematic organization offers pragmatic and reinforcing guidance into this often fuzzily conveyed concept. Readers should also welcome Honeck’s thoughtful tie-in to the current coloring trend. A practical, well-structured primer that promotes the power of positive thinking.